In 1832, after a decade of fighting, Greece managed to gain independence from the Ottoman Empire. Greece had been under Ottoman rule for almost four centuries now, a period that had seen numerous revolts. Naturally, when independence was finally achieved, passions ran high. The new Greek state, therefore, embarked on a campaign to destroy as many Ottoman buildings as it could. Of this destruction spree, the most famous is the demolition drive at the Acropolis including that of a small mosque inside the Parthenon. Independence wasn’t enough. Greece wanted to erase all vestiges of its past as a part of the Ottoman Empire. Like Greece, India has also had to grapple with the thorny issue of how to deal with an unpleasant period of colonialism. India’s reaction to British rule, though, was and is complex. 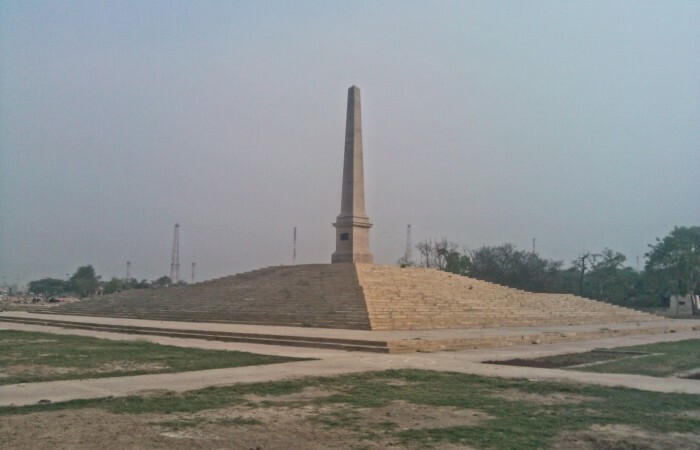 To understand just how complex, though, you'll need to take a trip to North Delhi’s Coronation Park. The Coronation Park, as the name suggests, was a site used to celebrate the British Monarchy at a time when they ruled over India. In 1877, Queen Victoria was proclaimed Empress of India at this site. In 1903, her son’s coronation was commemorated here. And finally in 1911, the park saw its final and grandest ceremony which celebrated the coronation of King George V. The final ceremony is marked by a bare sandstone obelisk at the centre of the park. 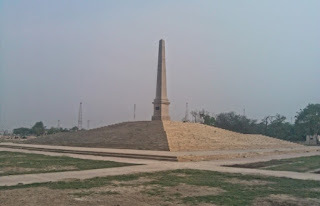 Built on a square plinth, which is reached from all four sides by flights of stairs, the obelisk carries plaques in English and Urdu noting that the new emperor had received “homage and allegiance” from India’s people and princes. Indeed, Ahmed Ali’s classic Old Delhi novel, Twilight in Delhi bitterly recounts how some of the city’s residents had bowed and scrapped to the Emperor on that day—apparently even the walls of the Jama Masjid were emblazoned with gold letters to mark the occasion. What’s most interesting though are the 5 marble statues which surround the obelisk. You’ll immediately recognise them as British and that’s exactly what they are. The largest is a 50-foot tall statue of King George V which sits there triumphantly facing its own coronation memorial. The other statues are of various viceroys and architects. , our new rulers kept on residing in the very buildings that were also built by the British. Ironically, the statue of King George V was designed by architect Edward Lutyens, the same man who built Rashtrapati Bhavan and indeed the entire zone called Lutyens’ Delhi in which the crème de la crème of our political class now have their bungalows in. An unknown statue with an Ashok Chakra panel next to it. The panels are a later addition and were a part of the plan to reopen the park on Delhi’s centenary. Bureaucratic delays, though, meant that 2 years after the centenary, the park has yet to be opened to the public. R.K. Narayan had once noted this irony in a lovely short story called Lawely Road. At independence, the town of Malgudi, at great cost and pain, manages to remove a statue of one Sir Frederick Lawley, whom they believe had been “a combination of Attila, the Scourge of Europe, and Nadir Shah, with the craftiness of a Machiavelli.” In a typically humorous Narayan twist though, it’s only after the statue has been removed (the recalcitrant statue had to be blown up using dynamite) that the town municipality learns that Lawley had, in fact, been a virtuous governor who had advocated for India’s independence and died in the attempt to save villagers from drowning in a flood. India has had a complex relationship with its colonial past. On the one hand there is revulsion, even hate, not surprising given the hugely destructive consequences of British rule. This statue uprooting is not confined to Delhi. Bombay’s best kept secret is a small, ramshackle 6X5 feet corrugated tin shed besides Elphinstone College. If you peek through a hole in the shed’s wall you’ll see the ghostly silhouettes of the statues of King George V and King Edward VIII in full military splendour. As in Delhi, these statues once dotted the city. Bombay, though, was so ashamed of these relics of its past that it actually locked them away, lest their presence corrupt the nation. It’s no wonder that a few decades later, the city changed its very name. Our revulsion, though, is tempered by the fact that we are also products of colonialism. Our government takes large chunks of its functioning from the colonial state which it succeeded. Our police and the IAS, the two pillars of our administration, still function exactly as our colonial masters meant them to. Our elites (and that means you, dear reader) read, write and, increasingly, speak in English. And, in what is almost poetic in its symbolism, our Parliament functions out of a structure built by the Raj. The complexity of our relationship with our colonial past is bought out by the fact that Calcutta’s most famous public space, the Victoria Memorial still carries the actual statue of its plump namesake, sitting pretty on a throne, patiently accepting pigeon droppings as morning walkers pace frantically around her. Unlike Delhi and Bombay, Calcutta, it seems, is not scared by dead monarchs. And while Bombay hides away its King George V statue, the Gateway of India—built to commemorate the same monarch’s 1911 visit to India—still functions as an emblem of Bombay...sorry, Mumbai. Talk about confused notions of shame and pride. The fact is, whether we like it or not, we are products of our past. We might not like the past but that does not change the fact that we exist because if it. Attempts to deny history are fraught with danger and are, ultimately, useless. To deny our past, good or bad, is to deny who we are. And that can never be a good thing. 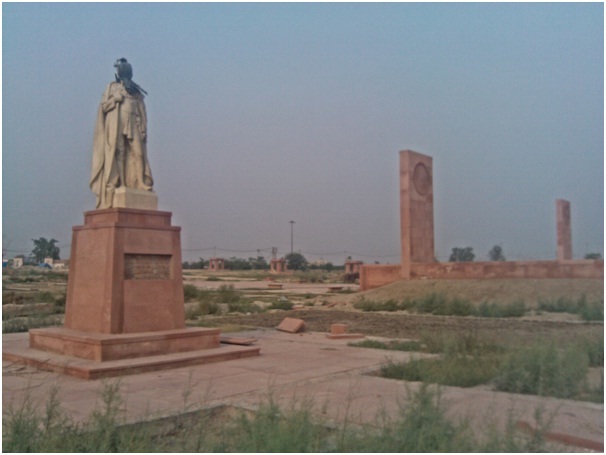 The visit definitely invokes emotions of anger, may not be as blatant as in the case of the Jalianwala Bagh site. It was imposed on India then and the monument feels alien to me even now. All I would say, is that I cannot embrace it but since it is an integral part of Indian history, I will just let it be.